-The EMF Meter Range for Ghost Hunting helps measure the electromagnetic fields to identify appliances that produce high-level emissions, allowing users to make informed decisions about limiting exposure. 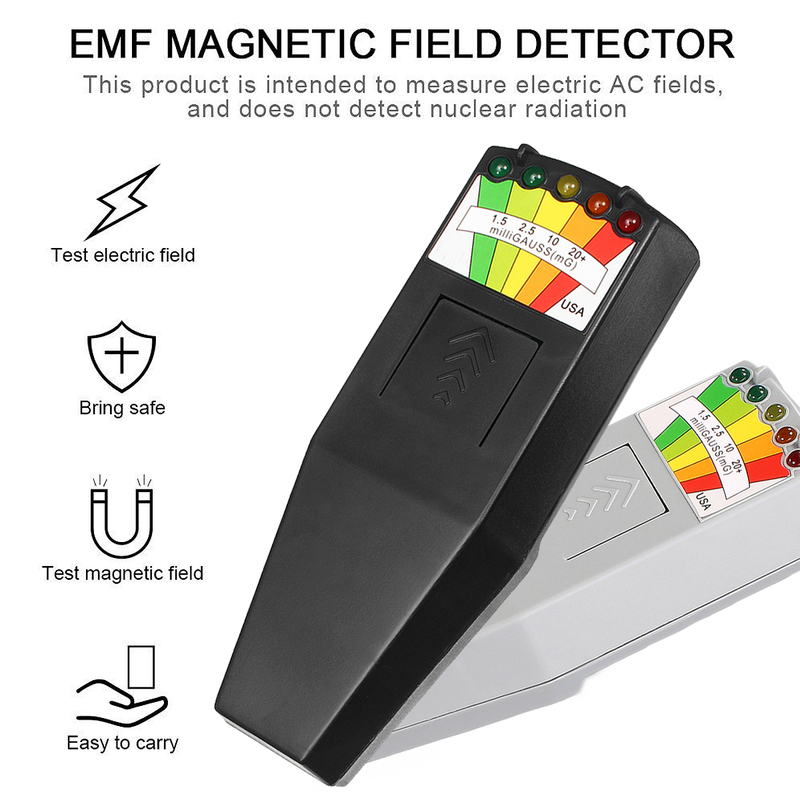 -The detectors have been associated with locations, where unexplained phenomena have been reported like alleged haunting. 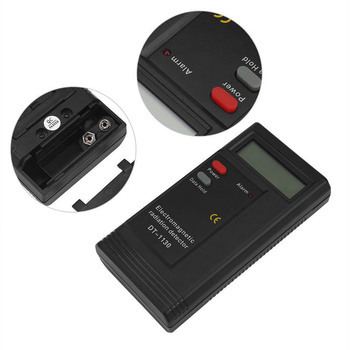 -The Ghost Hunting Detector operates on a single battery, and reports EMF measurements in five milliGauss ranges. 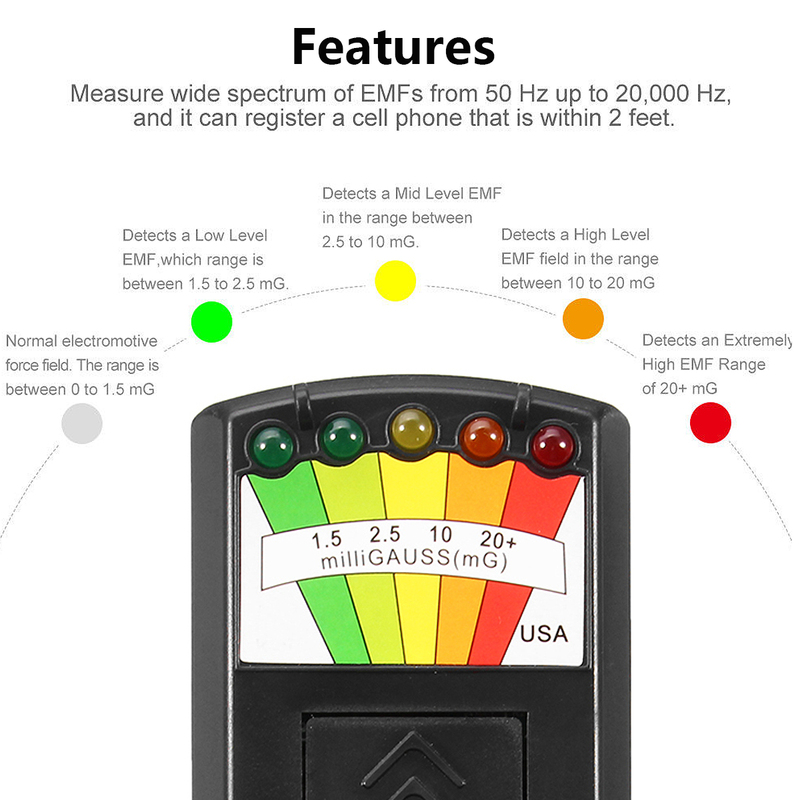 -Measure wide spectrum of EMFs from 50 Hz up to 20,000 Hz, and it can register a cell phone that is within 2 feet. 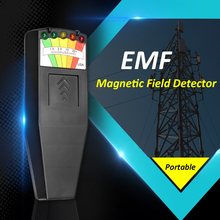 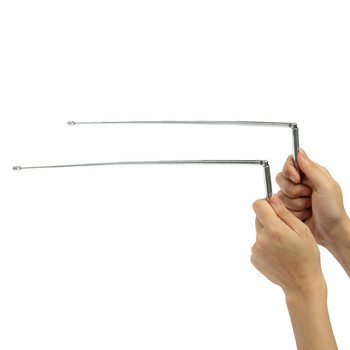 -Measure EMF level protect from potentially harmful long term overexposure to EMFs. 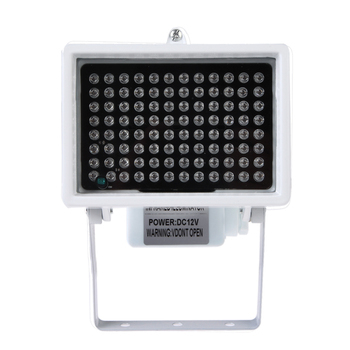 -Convenient push-on/push-off operation; Portable, easy to use, rugged, reliable, super responsive with easy to read LED light scale in dark and sunshine. 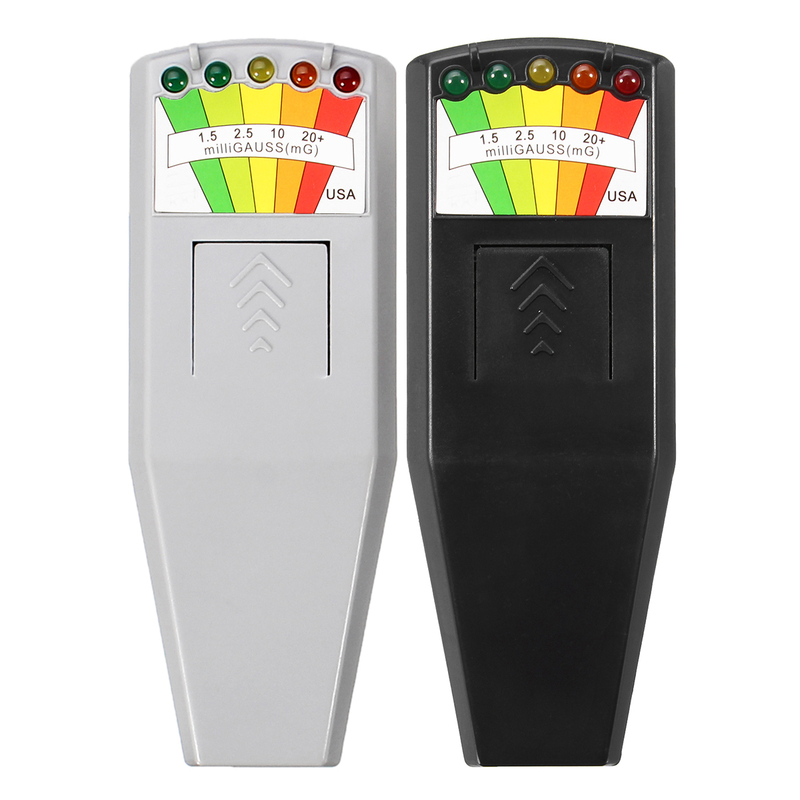 The 2nd Light (GREEN) detects a Low Level EMF,which range is between 1.5 to 2.5 mG. 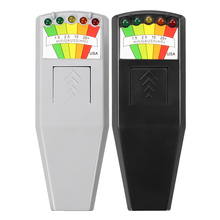 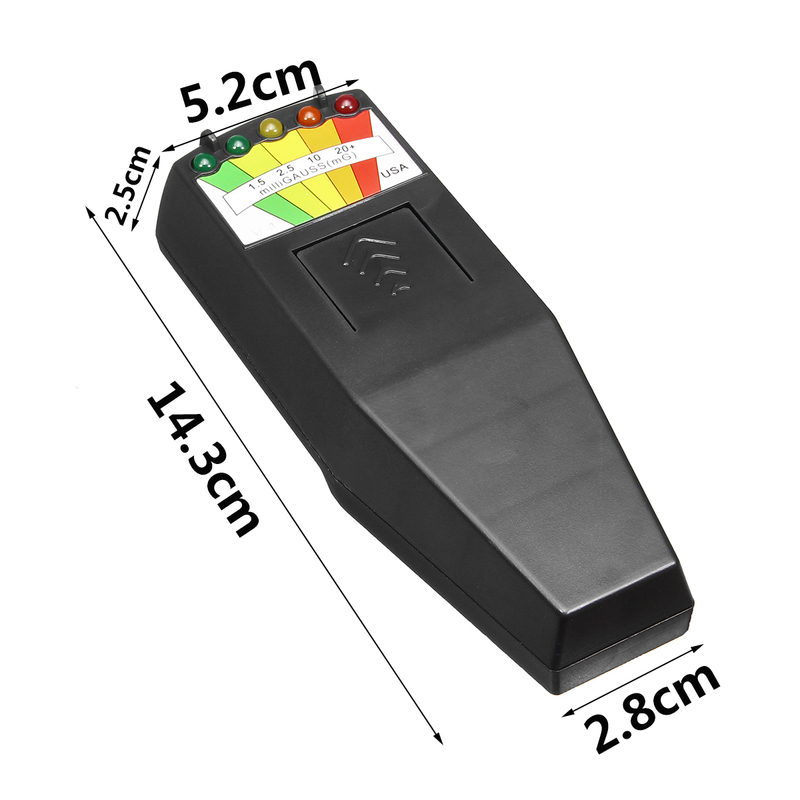 The 3rd Light (YELLOW) detects a Mid Level EMF in the range between 2.5 to 10 mG.